Clematis vine that looked limp and drought-stressed a week earlier is now beginning to brown and die due to clematis wilt disease. Note, the healthy vine next to it. The most serious disease of clematis, a varied genus consisting of about 250 species, is commonly called clematis wilt. It is a stem rot/leaf spot disease caused by the fungus, Ascochyta clematidina, which mainly affects large-flowered clematis hybrids. 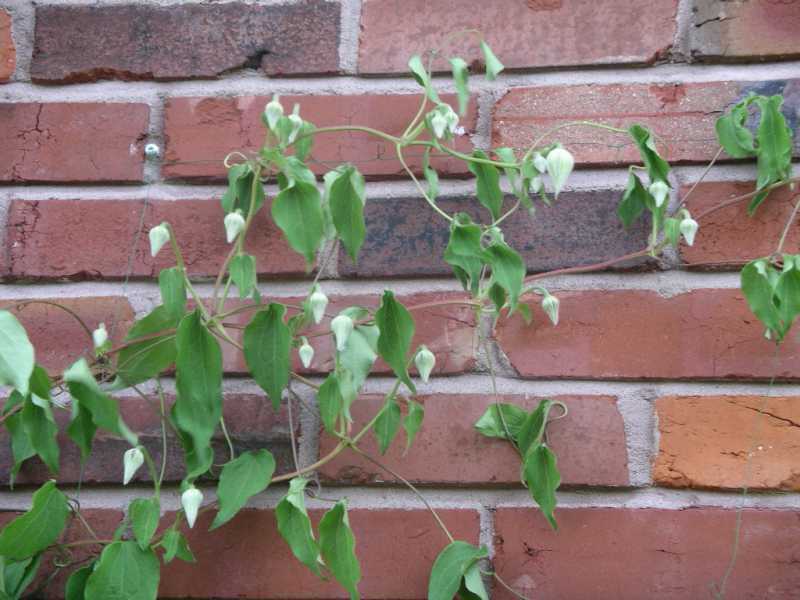 Species clematis, their cultivars, and small-flowered hybrids are much less susceptible. 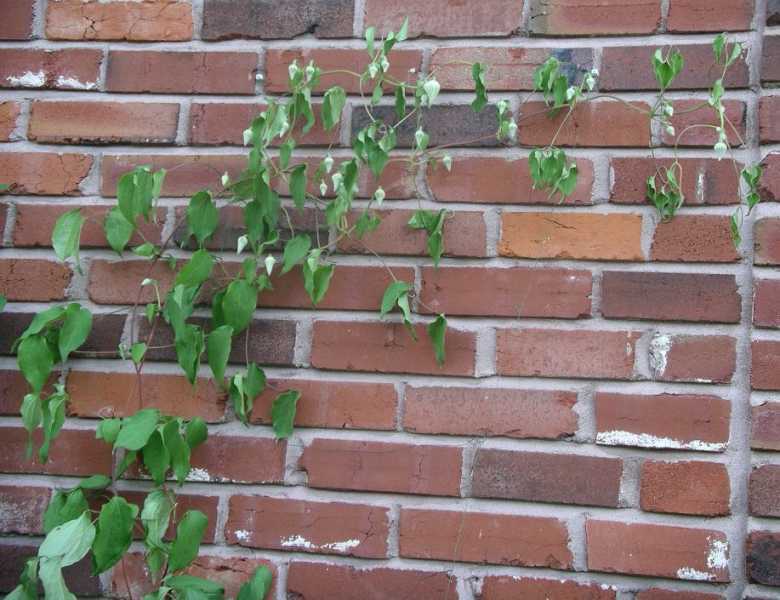 The symptoms of clematis wilt are very defining and include sudden stem collapse, often just as the flower buds are about to open. Within just a few days at most, the stem(s) and its leaves turn black. Leaf veins often develop a purple coloration. One or more stems of the diseased plant may be affected or all aboveground parts of the plant can be killed down to just below the soil level. Often, an affected plant will recover after a year or two. 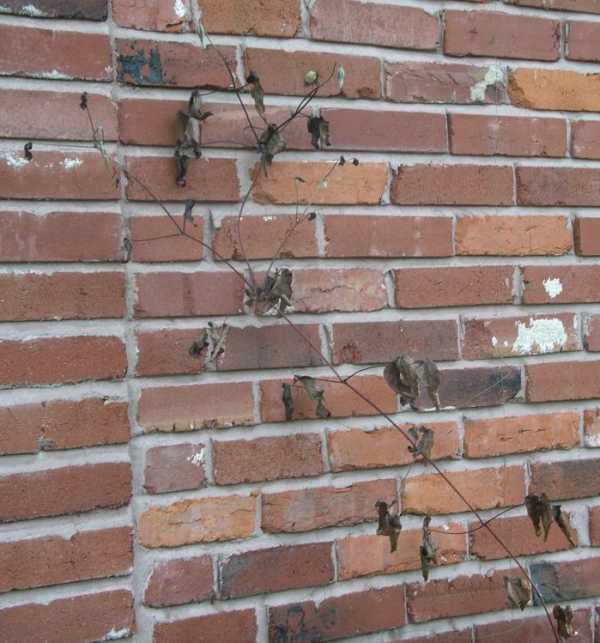 A. clematidina can survive in soil surrounding infected plants and may overwinter in infected plant debris. This organism appears to be activated by high humidity and favorable growing conditions found in early summer. It produces slimy spores which are spread by splashing water, careless handling, and unsanitary pruning. They can attack any part of a susceptible clematis plant which bears some sort of wound. This fungus, however, does not move systemically through the host; thus, it causes only localized infections. 1. Choose a favorable planting site. Your site should receive 6 or more hours of sun daily, contain rich, well-drained soil with pH about 7.0, and be relatively open to ensure good air circulation. 2. Select the most resistant plants. Species clematis and/or small-flowered hybrids seem to be more resistant than large-flowered forms. 3. 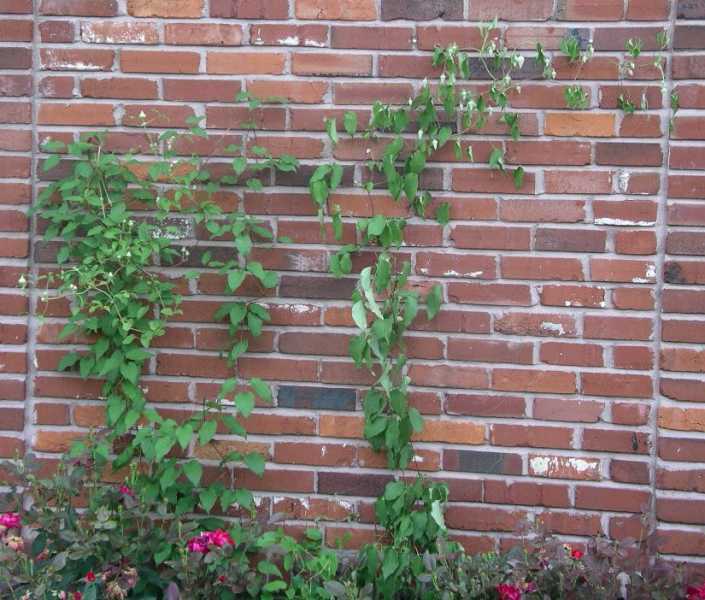 Keep the clematis area free of plant debris on a year-round basis. Take special care to avoid injury to stem and roots since the wilt fungus requires a wound to begin its deadly work. 4. Avoid damaging the roots. Do not cultivate the soil around clematis plants and maintain good mulch. 5. Give good culture. 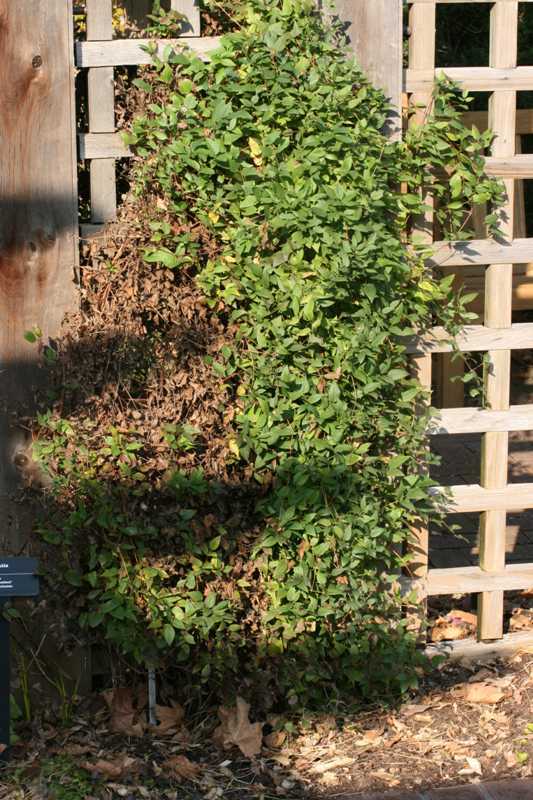 Maintain good growing conditions to keep all clematis plants as stressfree as possible. 6. Prompt removal of diseased stems. In the event that plants become infected, cut diseased stems just below ground level and destroy them. Spray any remaining, healthy parts of the plant and surrounding soil with a protective fungicide such as myclobutanil. All of the Strategies listed are strictly organic approaches. 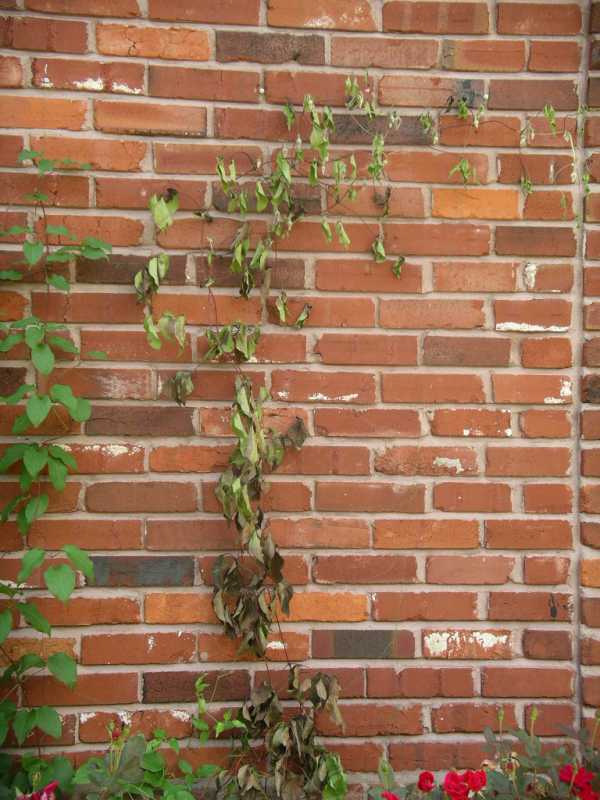 Clematis vine with a section beginning to wilt due to clematis wilt disease;the plant appears to be suffering from drought stress, but watering does not help. 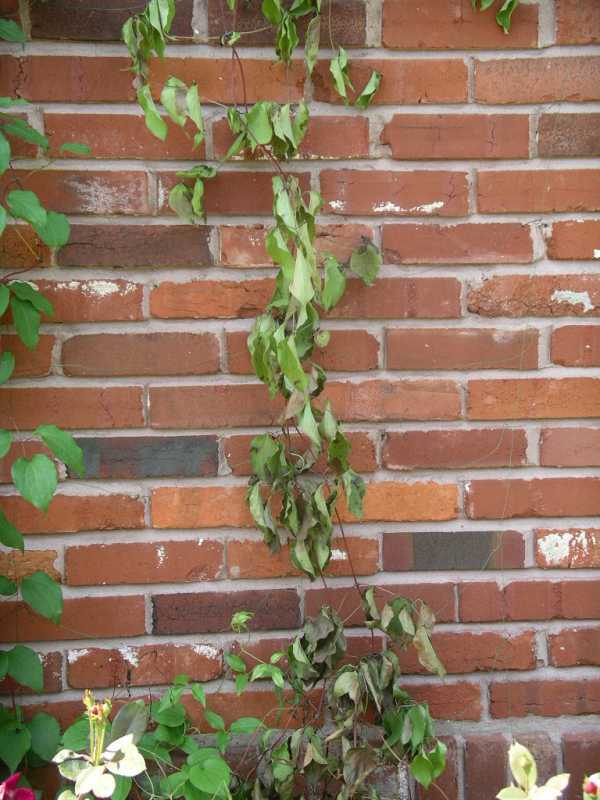 Clematis vine beginning to wilt from clematis wilt disease; note, unopened flower buds and limp foliage that looks drought stressed. Clematis wilt on clematis (Clematis 'The President').